One of the greatest selling points of the Mustang is its unmatched potential for customization, from the dealer and from the aftermarket. From base V6 to a loaded Shelby GT500, and everything in between, you order a Mustang from the dealer exactly how you want it. A long list of options and boxes can be checked off on a car configurator, giving you the Mustang of your dreams. Arguably one of the hottest and most desired options for the 11-14 market was the Track Pack option. Taking the already ludicrous performance of the 5.0L powered GT, the Track Pack provided enthusiasts with an array of tweaks to the handling, grip, and appearance of the GT, making it even more of a ‘track’ capable machine than it was to begin with. What Exactly is a Track Pack Mustang? The Track Pack option was only available with the GT Mustang and included Brembo pads and rotors, GT500 rear lower control arms, retuned shocks and struts, 3.73 rear gear ratio, an improved differential with carbon-fiber clutch plates, 19” wheels with staggered tires, Recaro seats, recalibrated traction control, Advance Trac®, and anti-lock brakes. With a package offering titled, “Track Pack,” one might jump to conclusions and assume that only those who track their Mustangs would want these parts. 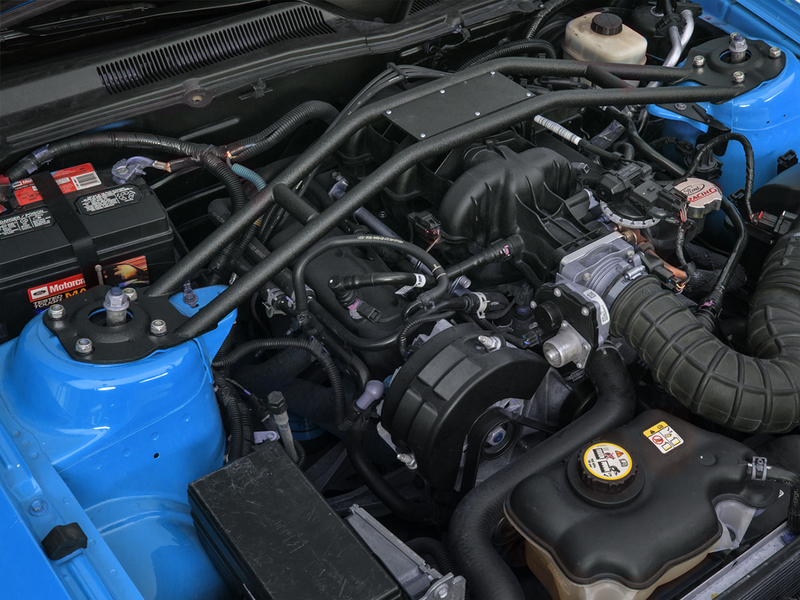 However, it is it quite the opposite; regardless of whether you primarily daily your Mustang, drive it on the weekends, or take it to a drag strip or autocross/road course events, the Track Pack offers something for everyone. By taking the core fundamental ingredients of the Mustang that make it so great, and refining them with the Track Pack, enthusiasts can feel more connected to the car, the road, and the experience of piloting a V8 RWD muscle car. 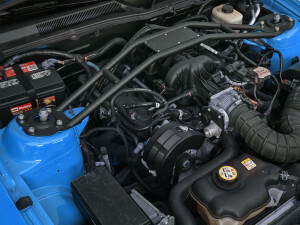 While the Track Pack option was highly desired on 2011-2014 Mustangs, not everyone who wanted a Track Pack equipped Mustang was able to get one. Instead of lamenting not owning a Track Pack Mustang, AmericanMuscle is here to provide you with all the parts you need to create your own true-to-form Track Pack, with a few options thrown in to customize it more to your liking. One of the highlights of the Track Pack options was the Brembo Brakes. Larger rotors and pads in the front and the rear gave improved 60 – 0 and 100 – 0 stopping distances, as well as improved cornering around a track. While the stock GT brakes do a decent job of reigning in that 400+ HP, after a few passes or some spirited driving the brake fade becomes noticeable. To bring your GT’s braking up to Track Pack levels, Ford Racing’s 14” SVT Brake Upgrade Kit will have you stopping on a dime and braking later in turns. 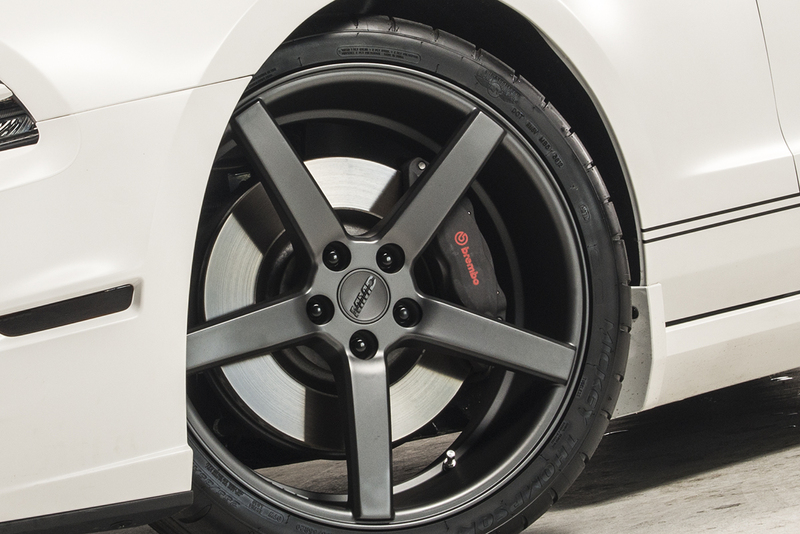 The kit utilizes Brembo 4-piston calipers and Ford Racing 14” two-piece rotors, giving incredible stopping performance. However, if you would like to go a different route, Wilwood’s Superlite Front Brake Kit will deliver comparable performance in a different package. One of the immediate attention grabbers and dead giveaways for a Track Pack car are the wheels and tires. Using a spokey, race-inspired 19” wheel wrapped in Mickey Thompson rubber, Track Pack Mustangs had improved handling and cornering, with an aggressive race-inspired look. 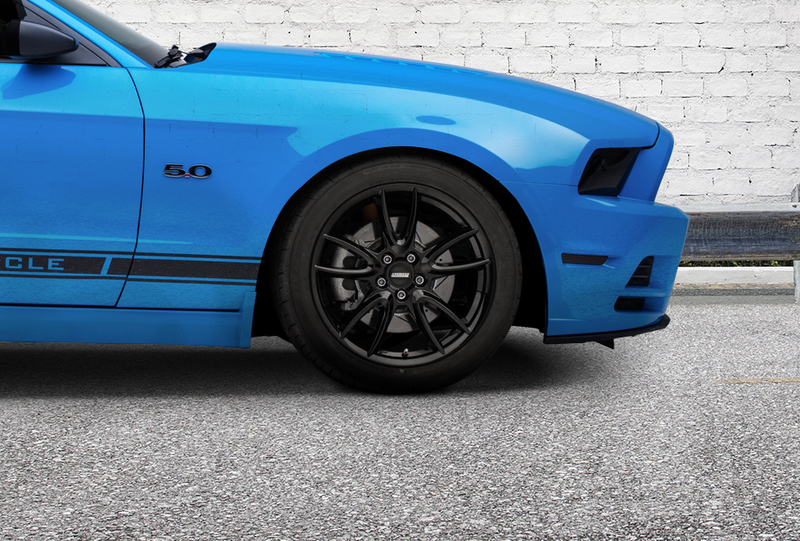 By opting for one of AmericanMuscle’s wheel and tire packages, like the Track Pack Styled Staggered Gloss Black Wheel with Mickey Thompson rubber, you too can feel the pull of lateral g’s in the skid pad. From the factory, base GTs ended up with either a 3.31 or 3.55 rear gear ratio, which by some measurements is a long gear. The Track Pack utilized a 3.73 rear gear ratio, giving enthusiasts that down low end torque off the line, and continued into a more aggressive power band. 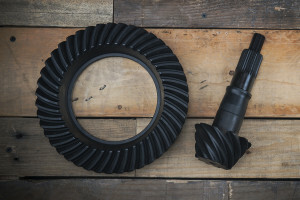 Ford Racing’s 3.73 gear kit will give you the exact same performance as the Track Pack Mustang, and have your car pulling hard all throughout the power band. 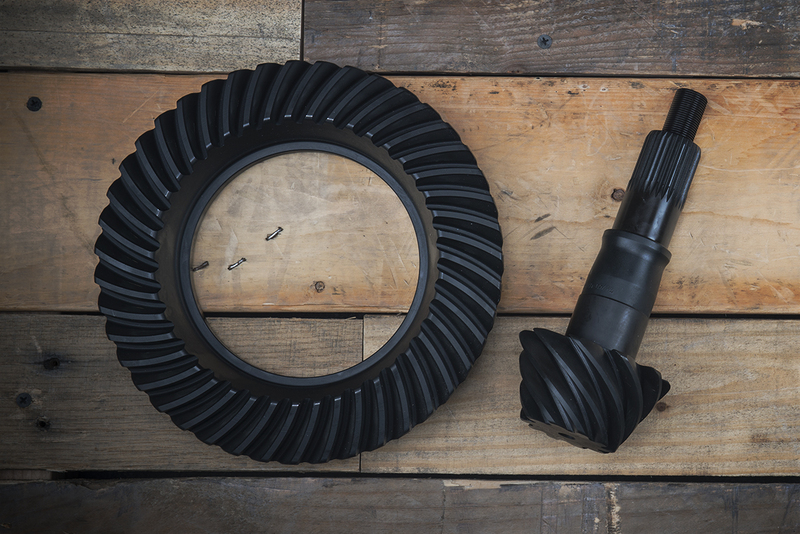 While replacing the rear gears, you can replace the rear differential for the upgraded Ford Racing Traction-LOK LSD with Carbon Discs. The Carbon-fiber friction plates are much more durable than the stock GT’s differential and allow for greater torque and abuse while driving – a must-have for anyone interested in autocross. Adding to the Track Pack identity is the improved and refined suspension components, which include the shocks, struts, control arms, and a strut tower brace. Ford Racing’s Dynamic Shock and Strut Kit along with Ford Racing Rear Lower Control Arms will have you hooking up off the line and feeling planted in the turns. If you were looking for something a little different, KONI Sport Adjustable Shocks and Struts paired with Whiteline’s Fixed Rear Lower Control Arms will give you the same level of performance and enjoyment, just in a slightly different package. To tie everything together, SR Performance has you covered with their Strut Tower Brace, which will reduce that unwanted chassis flex, allowing you to carve up any corner. One of the most overlooked areas of modding is the interior seating. Your stock factory seats not only retain unnecessary weight, which takes away from your performance, but they also were not really designed to keep you planted in the seat. To keep yourself planted while going through a turn and still retaining the comfort and adjustability of stock seats, Corbeau CR1s have you covered. 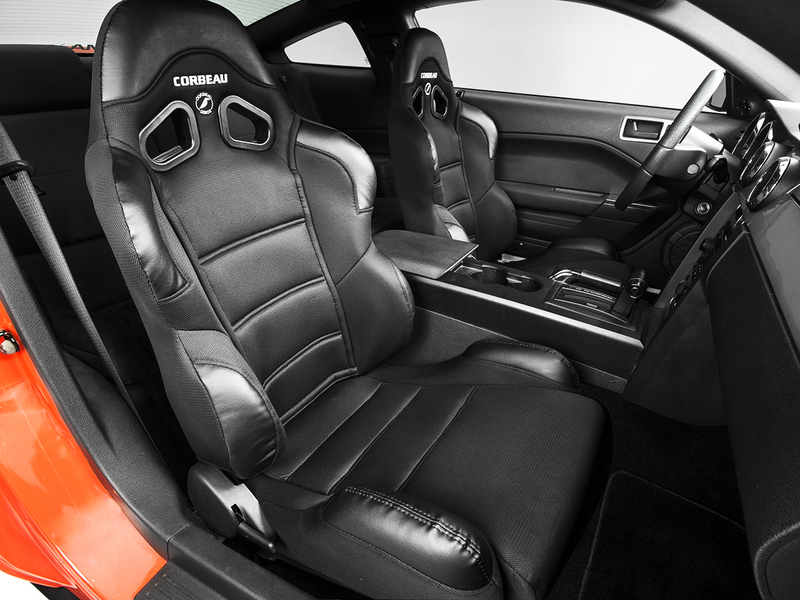 With an adjustable back and high-quality padding, these seats are a must-have for any Mustang owner. Mentioned above is the little-known fact that Track Pack Mustangs benefited from improved calibrations on the traction control, anti-lock brakes and Advance Trac®. By tweaking these system components, enthusiasts are able to push the cars harder than those who are running the stock GT calibration. To remedy this, a Bama Performance X4/SF4 Tuner and Tune will give you the improved performance you are looking for and then some! 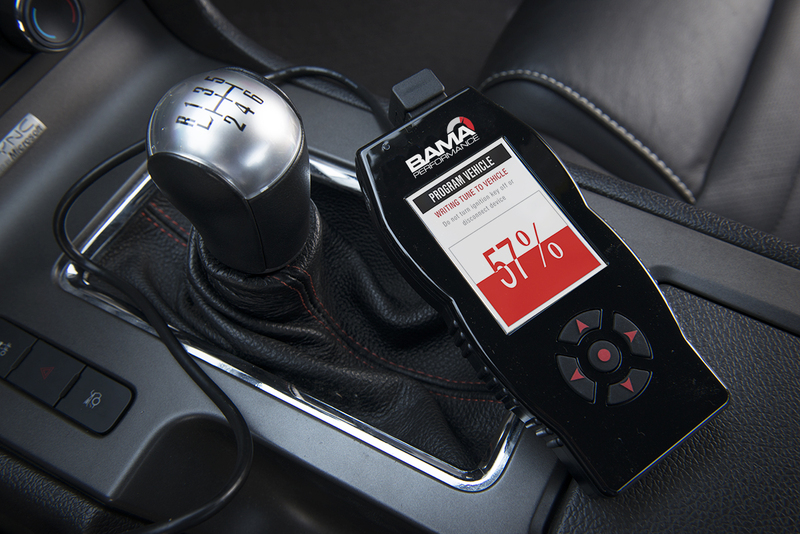 With a Bama Tuner and Tune, your Mustang will reap the benefits of improved throttle response, power, and more! Previous Entry Hot Lap: First Drive of the 2015 Shelby GT, 2017 Mustang News, & More!